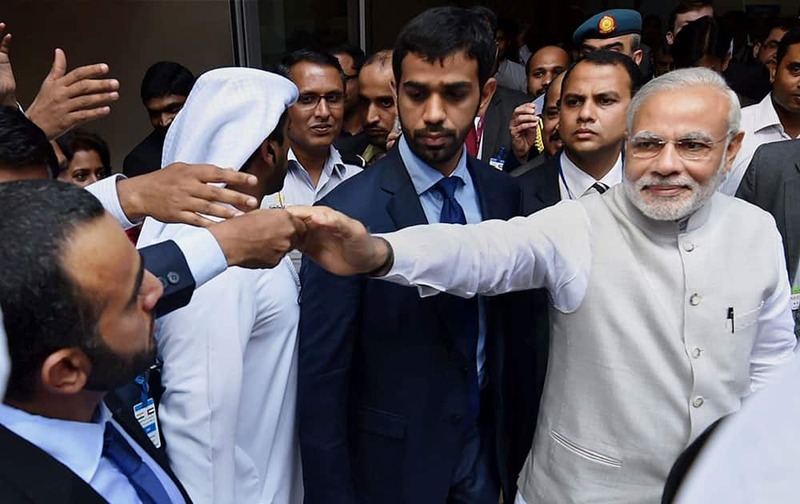 Indian Prime Minister Narendra Modi bows on his arrival to a cricket stadium to talk to Indian expatriates in Dubai, United Arab Emirates. 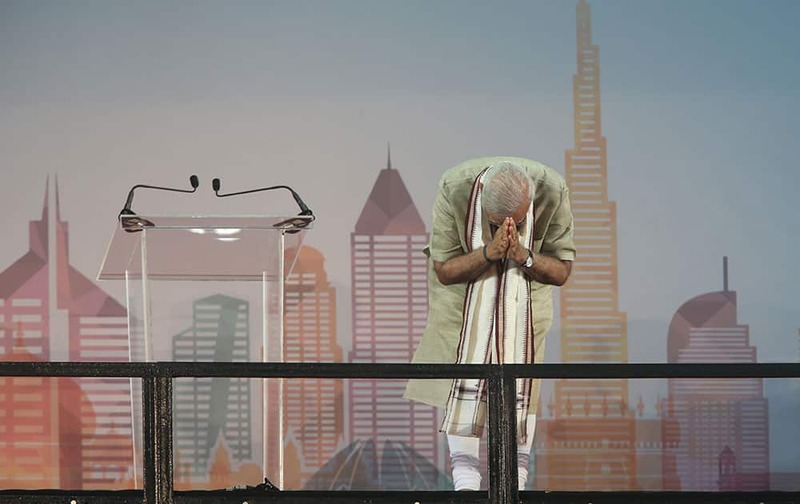 Indian Prime Minister Narendra Modi addresses Indian expatriates at a cricket stadium in Dubai, United Arab Emirates. 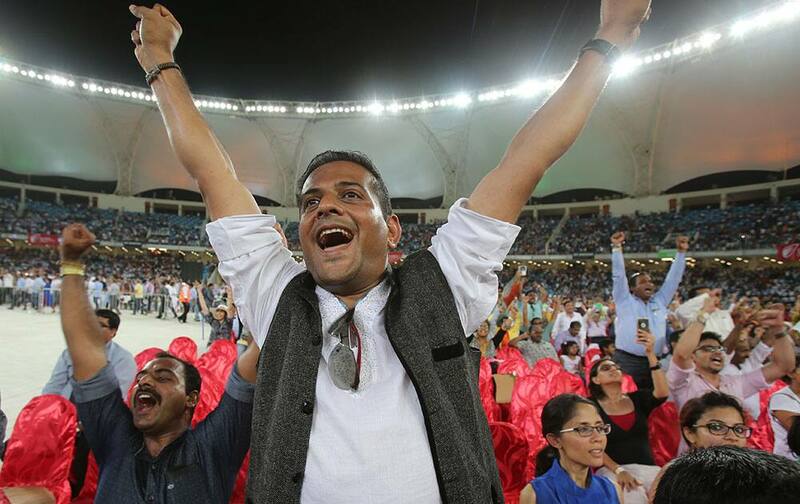 Indians chant during Prime Minister Narendra Modi's speech at a cricket stadium in Dubai, United Arab Emirates. 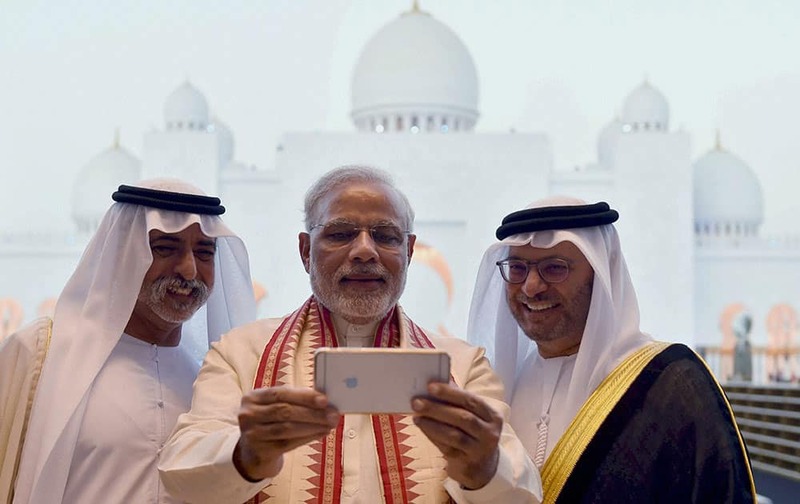 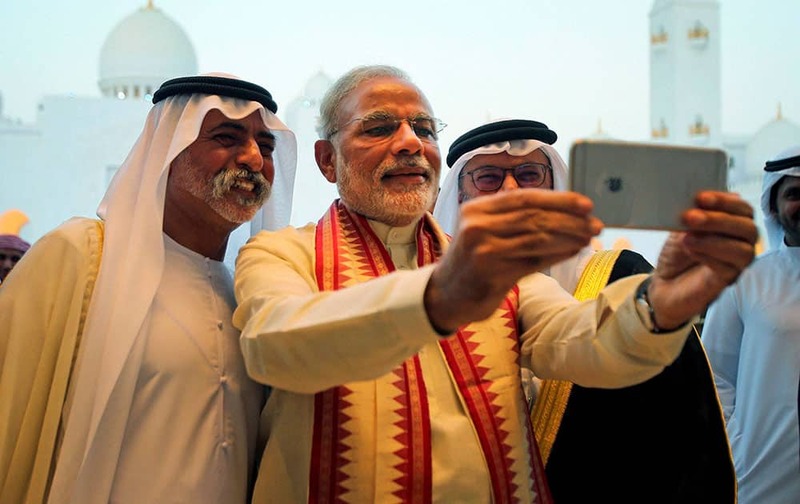 Prime Minister Narendra Modi on his visit Masdar city in Abu Dhabi, United Arab Emirates. 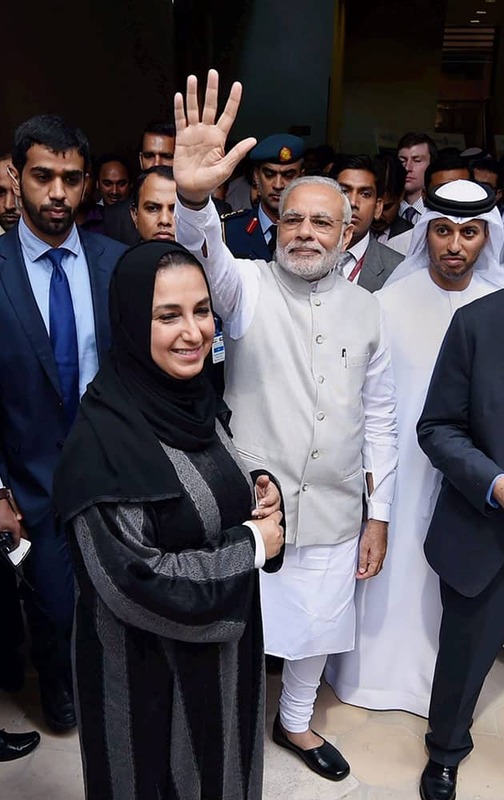 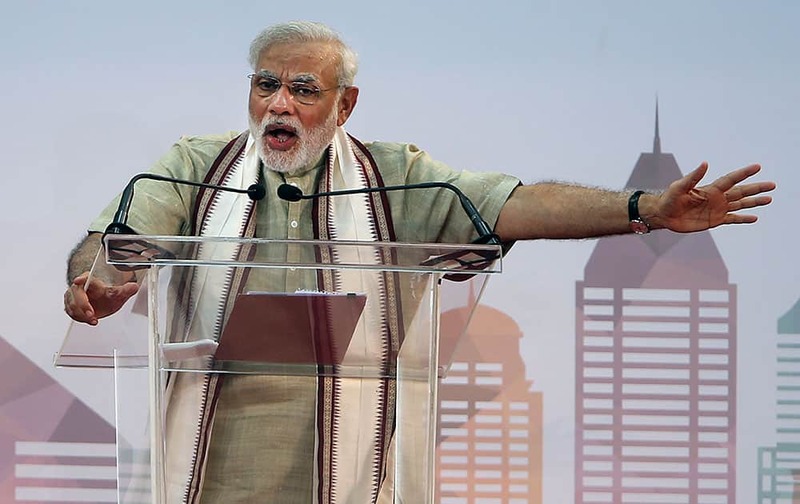 Prime Minister Narendra waves his hand during his visit to Masdar city. 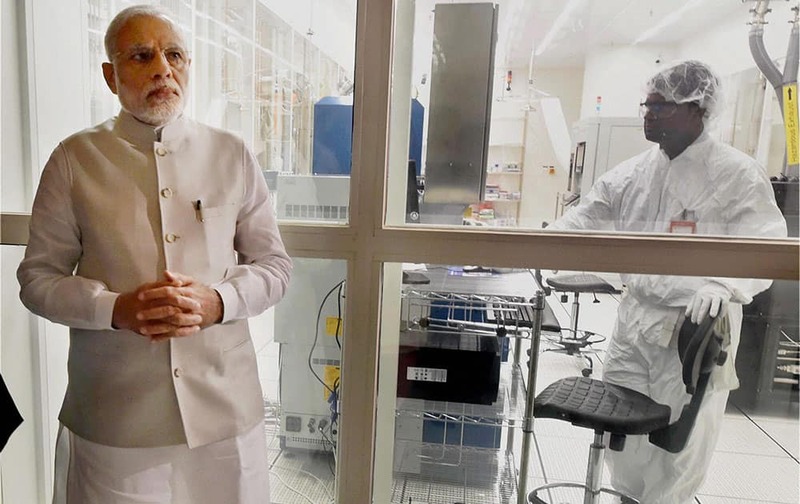 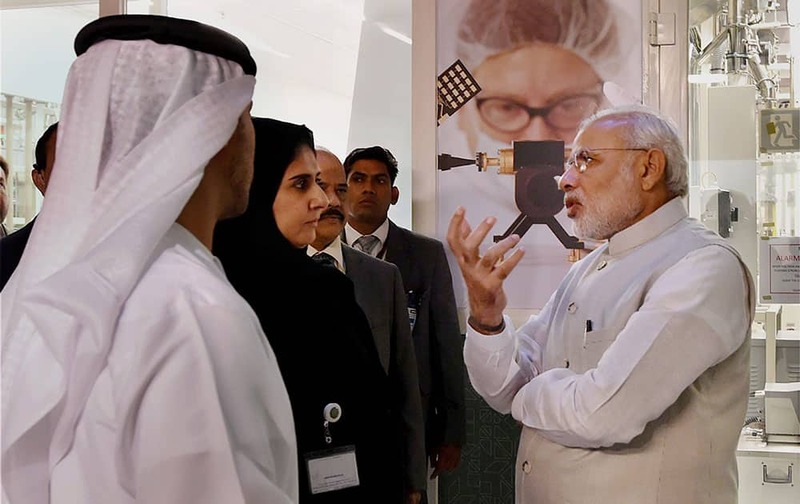 Prime Minister Narendra on his visit to Masdar city. 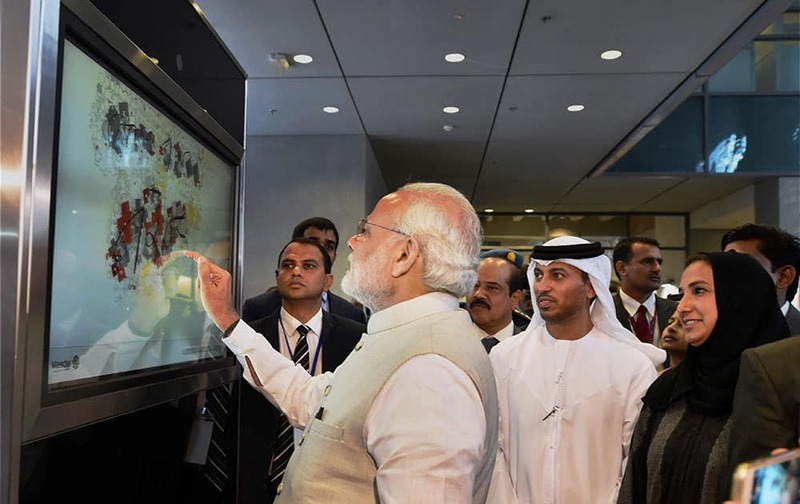 Prime Minister Narendra on his visit to Masdar city in Abu Dhabi, UAE. 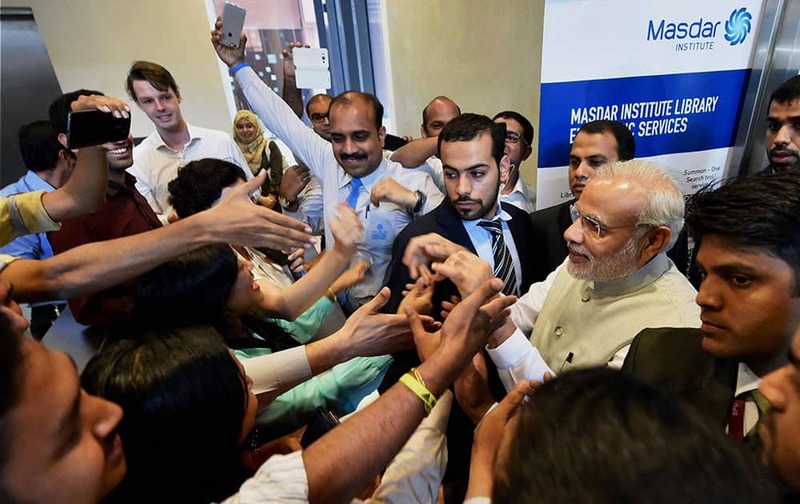 Prime Minister Narendra Modi greets people on his visit to Masdar city in Abu Dhabi, UAE. 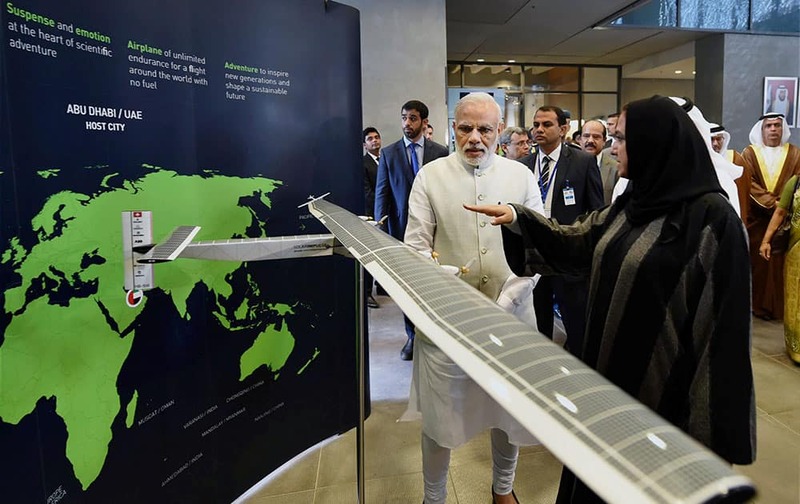 Prime Minister Narendra Modi on his visit to Masdar city. 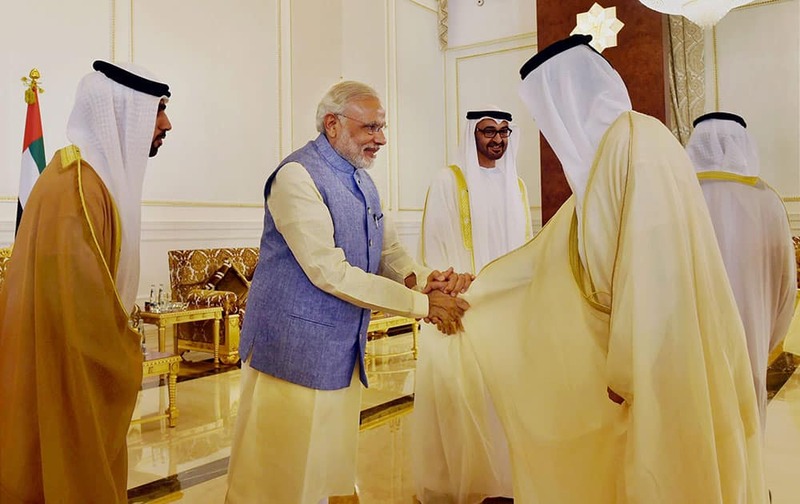 Prime Minister Narendra Modi being welcome by Crown Prince of Abu Dhabi Sheikh Mohammed Bin Zayed al Nahyan on his arrival in Abu Dhabi. 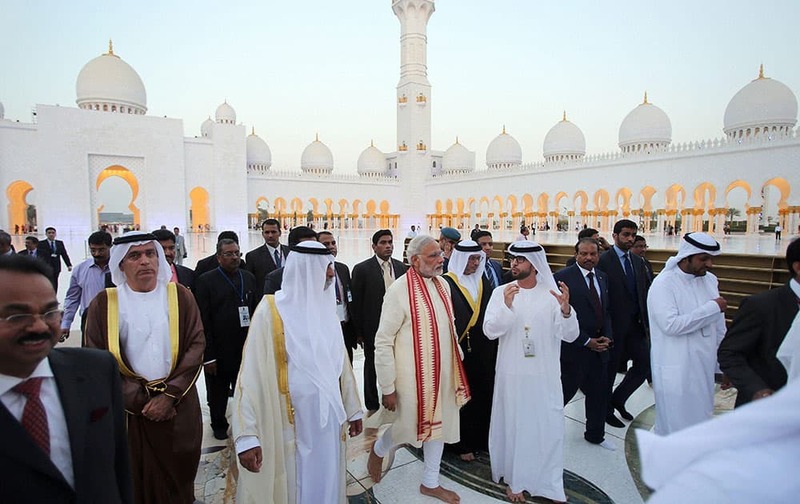 Prime Minister Narendra Modi with Sheikh Hamdan bin Mubarak Al Nahyan, UAE Minister of Higher Education and Scientific Research, at the Sheikh Zayed Grand Mosque on the first day of his two-day visit to the UAE, in Abu Dhabi, United Arab Emirates. 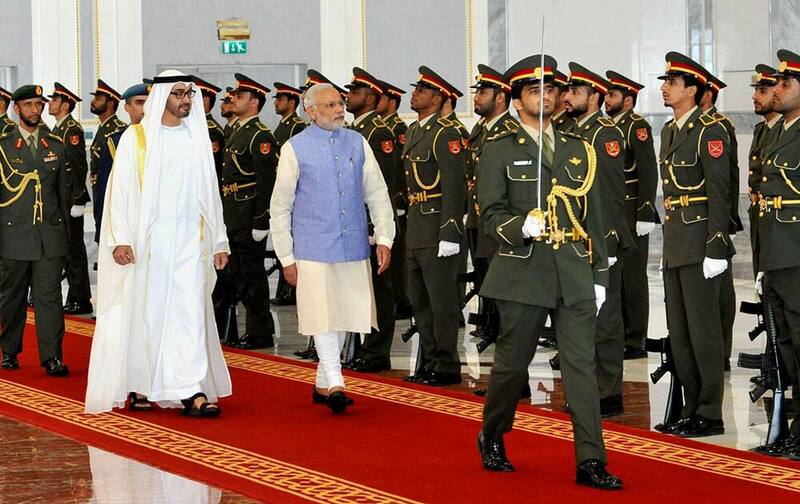 Prime Minister, Narendra Modi with Crown Prince of Abu Dhabi Sheikh Mohammed bin Zayed Al Nahyan inspecting the guard of honour on his arrival in Abu Dhabi. 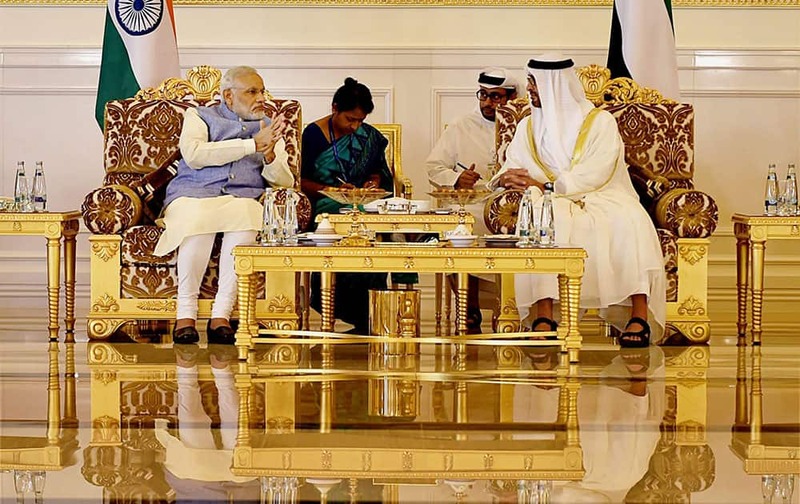 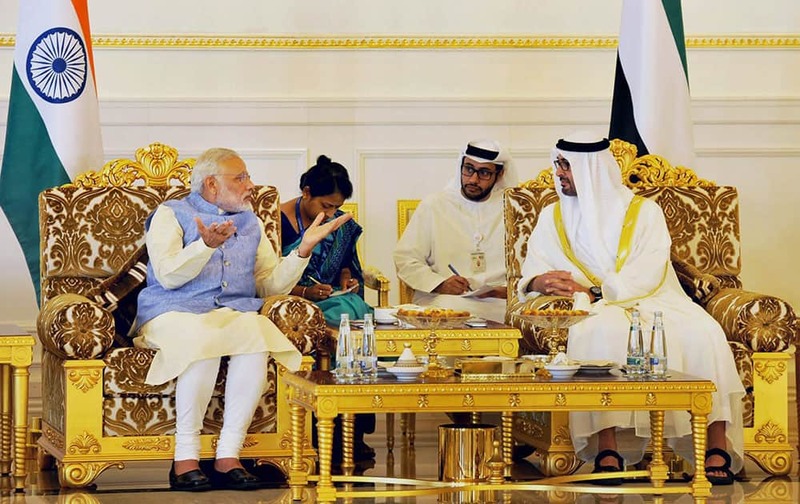 Prime Minister Narendra Modi with Crown Prince of Abu Dhabi, Sheikh Mohammed Bin Zayed al Nahyan in Abu Dhabi. 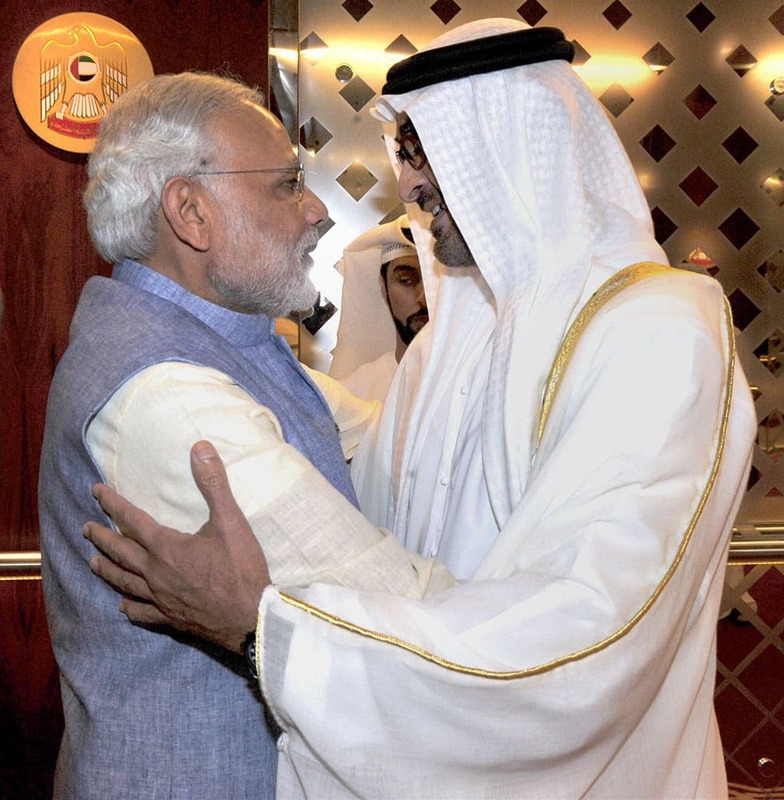 Prime Minister Narendra Modi shakes hands with Minister of Abu Dhabi on his arrival in Abu Dhabi. 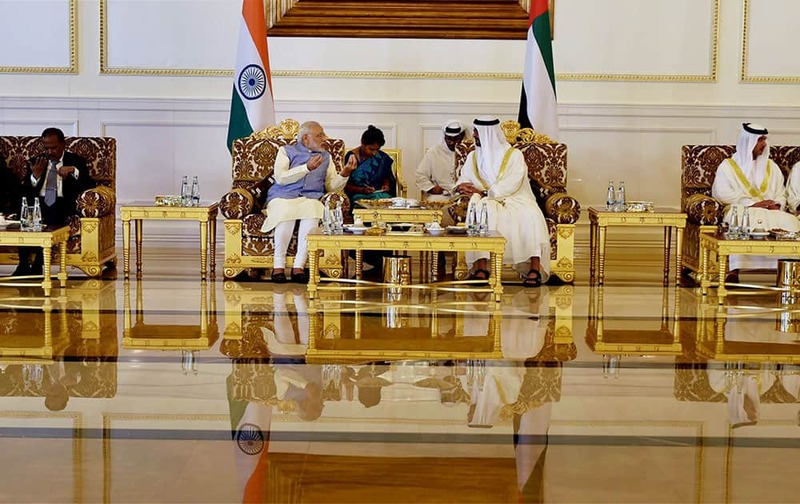 Prime Minister Narendra Modi with the Crown Prince of Abu Dhabi Sheikh Mohammed Bin Zayed al Nahyan on his arrival in Abu Dhabi.